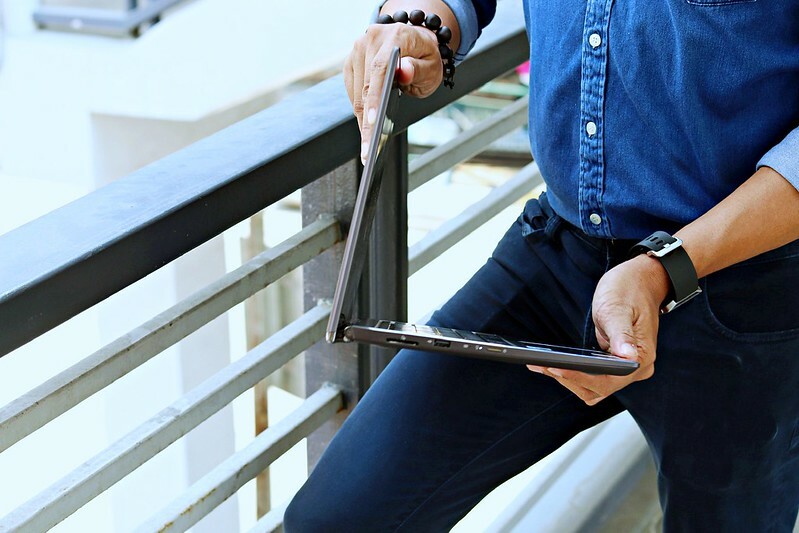 After I sold my 11-inches personal laptop years ago, I got curious on specifics about netbooks and its key features because investing to a new one requires an in-depth research. We don’t want our hard earned money go to waste just because we failed to check the quality of items we buy. 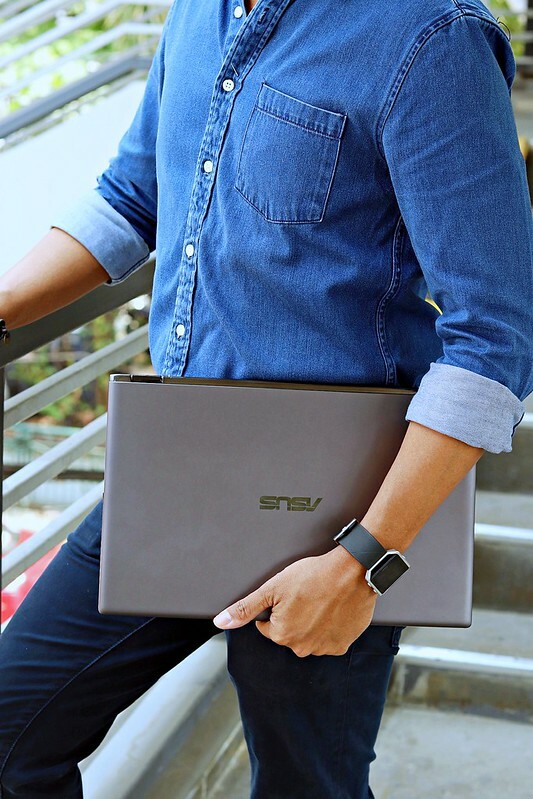 If you are gonna have to ask me, here are my basic preference in choosing the best laptop for me: Its display, battery life and its design. While we of course consider price range, it pays to really invest on something we love to experience. 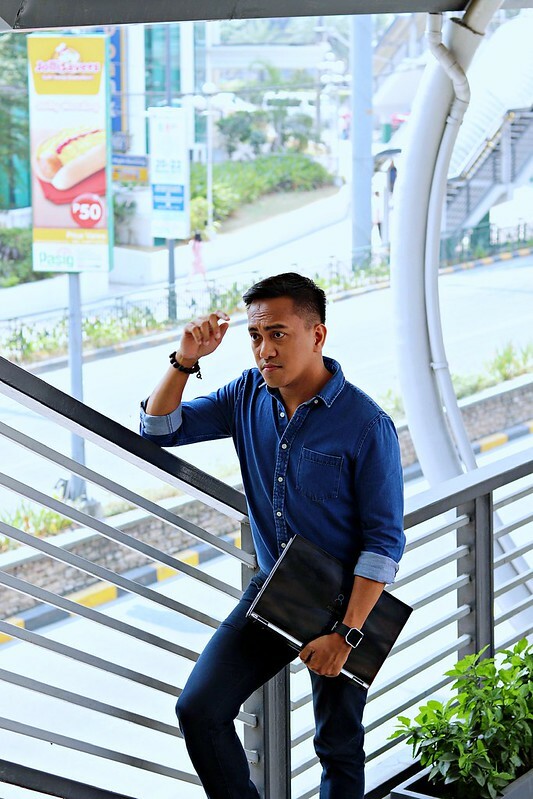 Today, I want to share you something in laptop department that might help you decide for your next purchase. 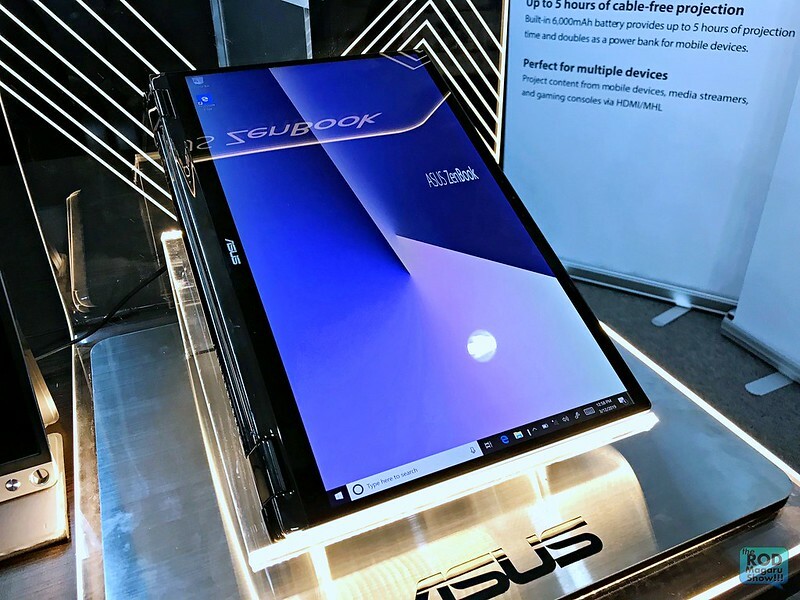 Meet the amazing ASUS Zenbook Flip UX562. 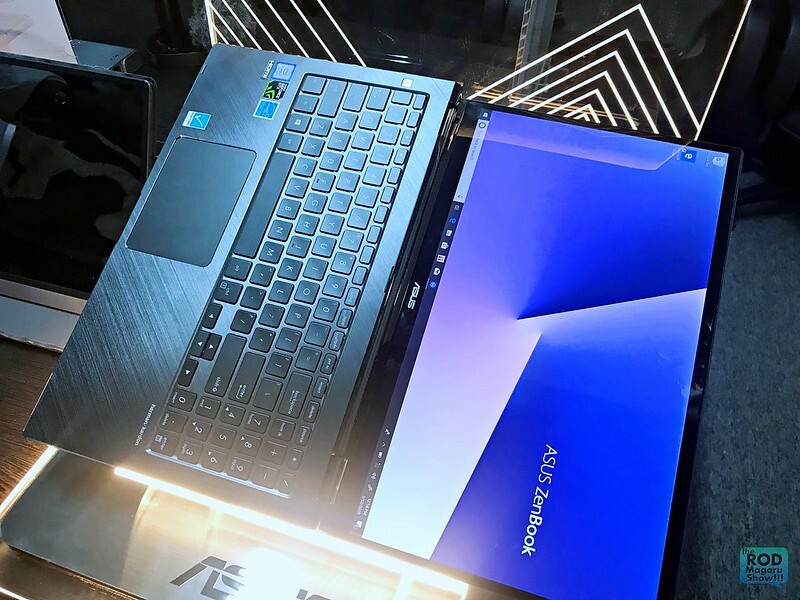 I’m sure you probably have seen the other Zenbook Flip 15, the new Zenbook Flip US562 is 10% smaller than that, as well as to its competitor. It is more portable than you can imagine. I said portability because this one have built and tested to meet our demands, millennials and corporate yuppies to a military standard for unprecedented reliability and durability. In fact, it will still be operational if you drop it at 100mm. It passed multiplr test including humidity. It has 95%h humidity survival on 10-day duration. One of the best features of Flip US562 is its 4-SIDED NanoEdge Display. It is now considered one of the best looking display with its 90% screen-to-body ration. We use to see laptop with thick bezels and this one is an exception. It also has 100% sRGB (wide color gamut). Imagine an Ultra HD Definition that I can compare with my recent Smart TV purchase. I always bring my work everywhere so sometimes, I even do some stuff day and night. 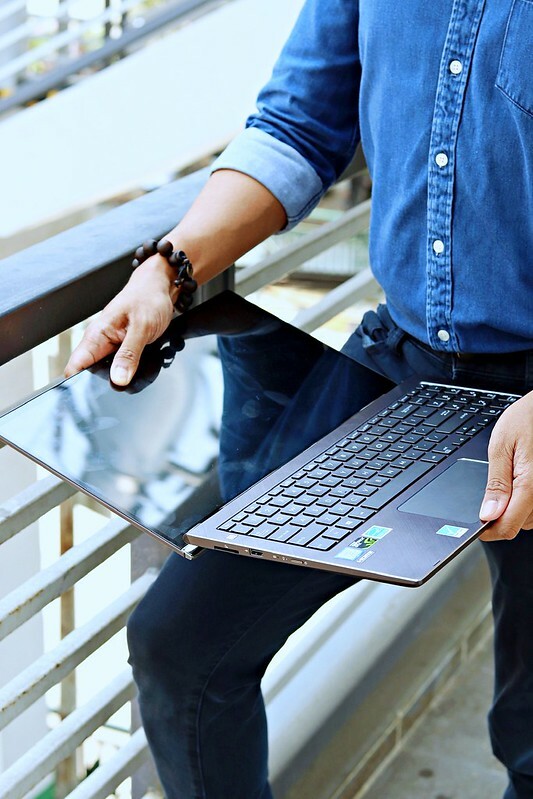 Good thing this ZenBook Flip 15 has a full-size backlit keyboard with a sturdy single-piece design. I mean many laptos has this but only this one gives you the a superb typing experience in any lighting conditions. 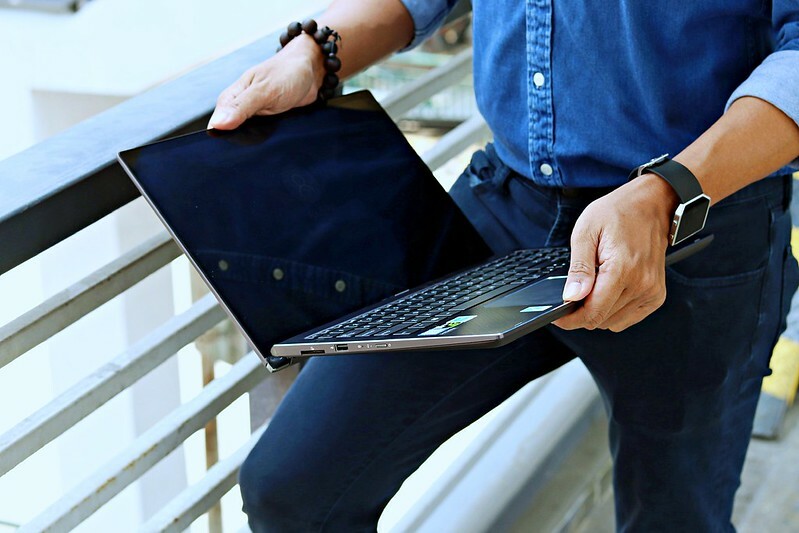 It’s a masterpiece of ergonomics, with 1.4mm key travel that’s optimized for comfort. 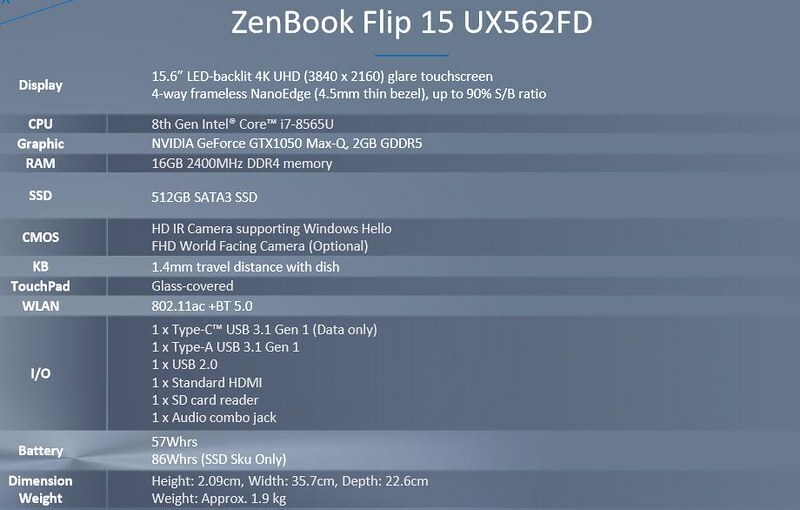 To summarize, here are the major specifications of ZenBook Flip 15. 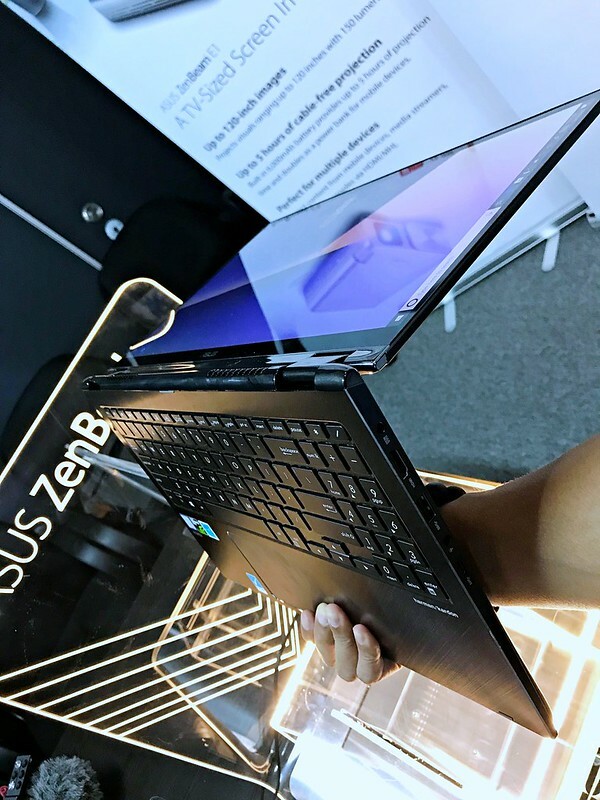 Price point and suggested retail price of ASUS ZenBook Flip 15 UX562: PHP99,995. With its winning specifications, this is way cheaper than some popular laptops in the market. It is way ahead of its competitor. Or check the latest update in their social media accounts!